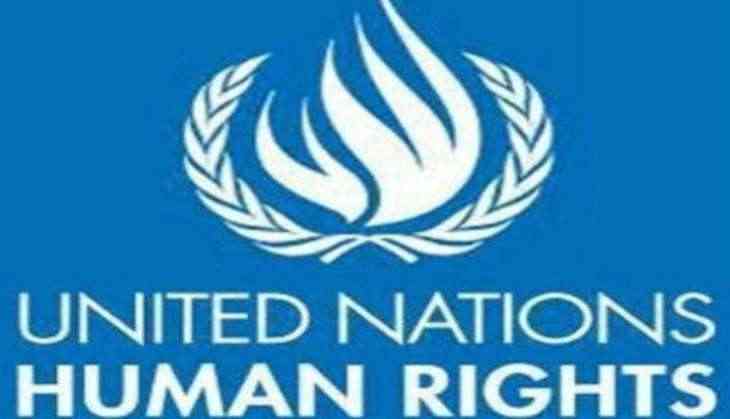 Accusing Pakistan of pursuing political objectives in Kashmir, India told the UN Human Rights Council in Geneva that Islamabad's continued support to terrorist groups is part of its security and foreign policy to de-stabilize Kashmir. Exercising its third right of reply (RoR) to a Pakistani statemen, India said that "the foremost challenge to stability in Kashmir is the scourge of terrorism which receives sustenance from Pakistan and the territories under Pakistan control". India said "Pakistan has been misusing the august platform to pursue its political objectives and keeps referring to UN Security Council Resolutions on Jammu and Kashmir. But it forgets its own obligation under these resolutions to first vacate the illegal occupation of Pakistan Occupied Kashmir." India further blamed Pakistan of not adhering to the obligations under the 1972 Simla Agreement ,the 2004 Joint Declaration foreswearing terrorism as well as the understanding between the two Prime Minister at Ufa in Russia. "Contrary to Pakistan claims, and in gross violation of UN Security Council resolution 1267, the designated terrorist entities and organisations continue to carry out their objectives freely," the statement added. India said that Pakistan has been resorting to diversionary tactics as India has already handed over concrete evidence to Pakistan about their cross- border encouragement and support for the protests in Kashmir. "India has a robust institutional framework in place to ensure adherence of law and respect for fundamental rights of the people," the statement said. India asked Pakistan to introspect and focus on improving human rights situation and dismantling the terror infrastructure in Pakistan and Pakistan occupied Kashmir as "Pakistan-occupied Kashmir is administered by a deep-state' and has become an epicentre of terrorism. Pakistan's human rights record in Pakistan's Occupied Kashmir and Balochistan is deplorable."